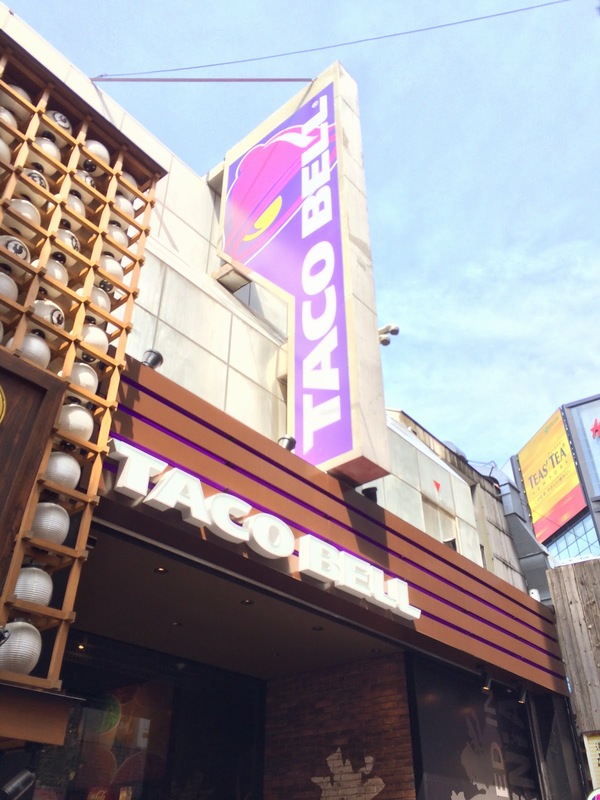 On April 21, 2015, Taco Bell re-opened in Shibuya, Tokyo. In 1980s, there're several shops in Tokyo and Nagoya, but they're all closed and only U.S. bases in Japan still had the chain till now. 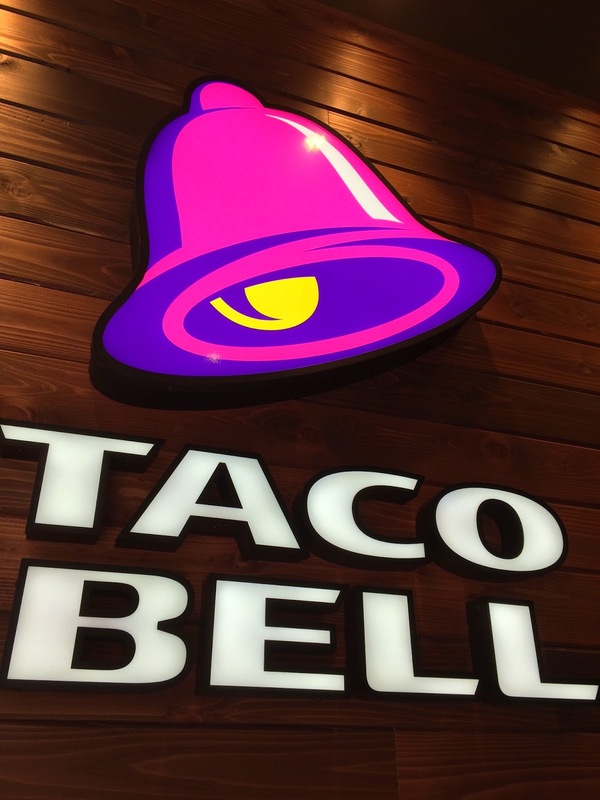 Taco Bell is an American fast food chain founded by Glen Bell in Irvine, California in 1962. 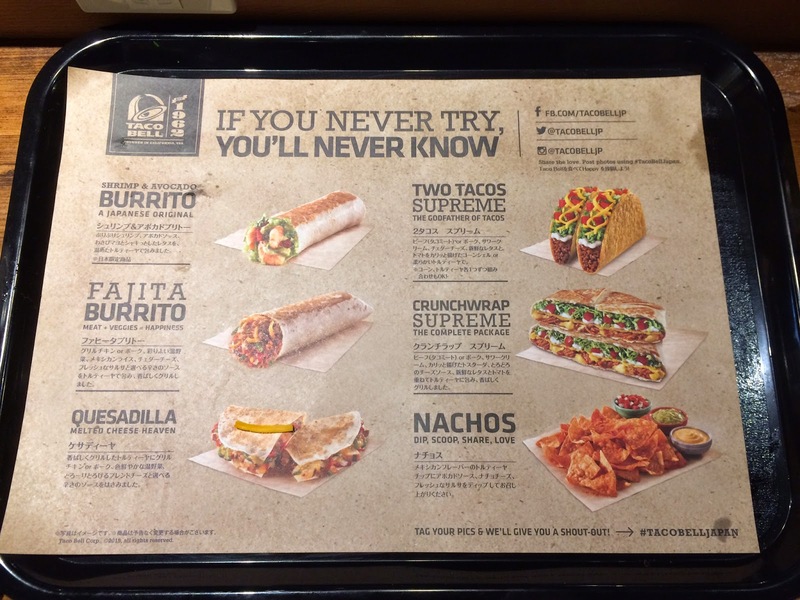 The items are reasonable, they have soft and hard shell to choose from and time to time they launch limited time items, so sometimes I go to Taco Bell like other fast food chains. 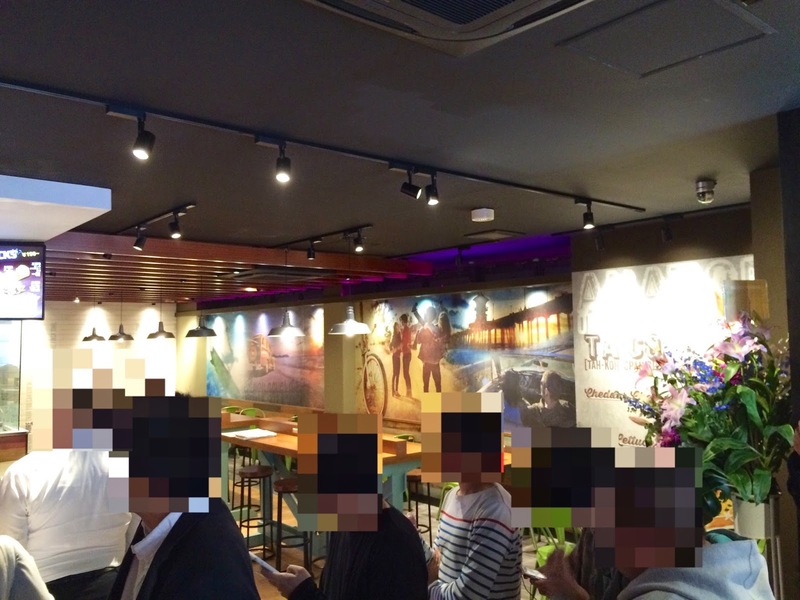 On the 21st, they opened the door at 10 AM, and some people waited from the night before and the waiting time was 3 hours. 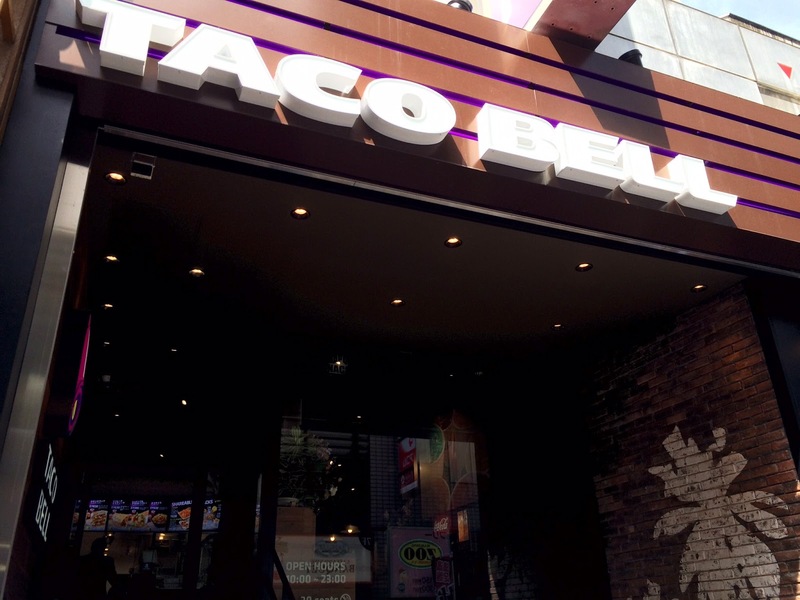 When I heard 3 hours for Taco Bell, I was like, "no thank you," but I wanted to see what it is like in Japan so I went there today in the morning. Here is the review through time. 9:54 AM: I got to the shop, and there're about 20 people before me. 10:00 AM: The shop opened and the queue proceeded to the inside. The interior was as clean and nice as the outside, and it's very different from the ones in the states. 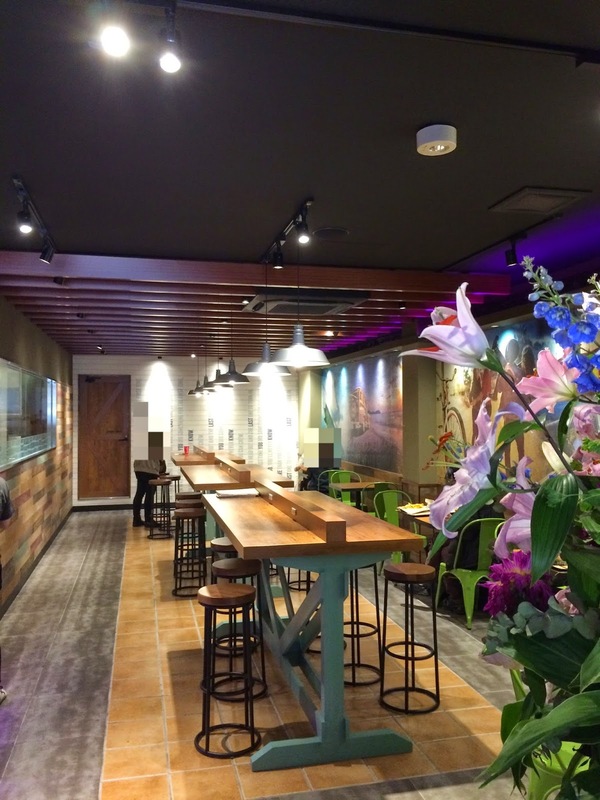 Here, it looked like a cafe. There's another eating space in the basement. While waiting in the line, a man in suit provided menus. There're 4 boards for "how to order." 3. Add some heat. --- to choose the sauce, thus there're no sauce pouches that you can take as many as you like. 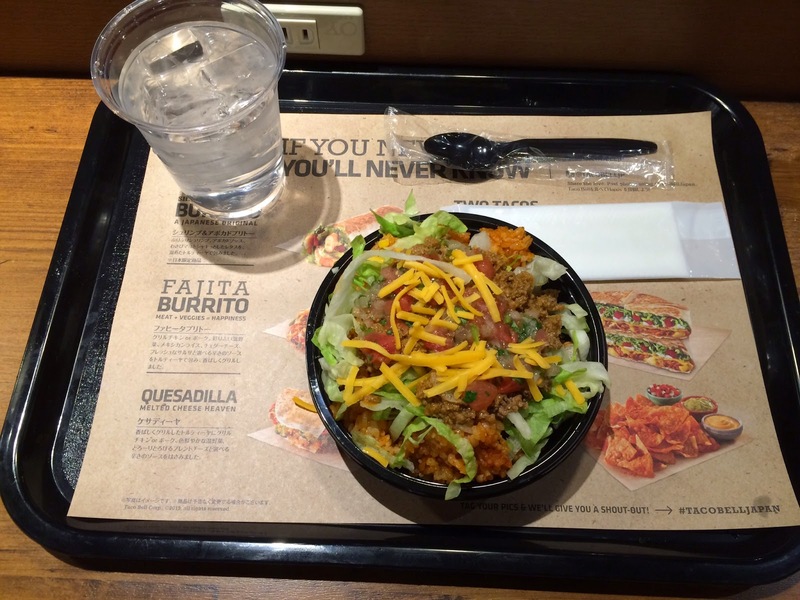 10:35 AM: I finally placed my order, Taco Rice Bowl, which is available only in Japan besides Shrimp & Avocado Burrito. When I asked for some water, the cashier was about to give me a bottle of mineral water which is NOT free, so I said, "tap water (水道水, Suidosui)," then they gave me a cup of water. The cashier didn't give me a receipt and said it'd be provided when my item was ready. I only got a beeper, and the alarm went off in about 2 minutes. There're plastic utensils with wet nap napkins and paper napkins at the counter to receive items. 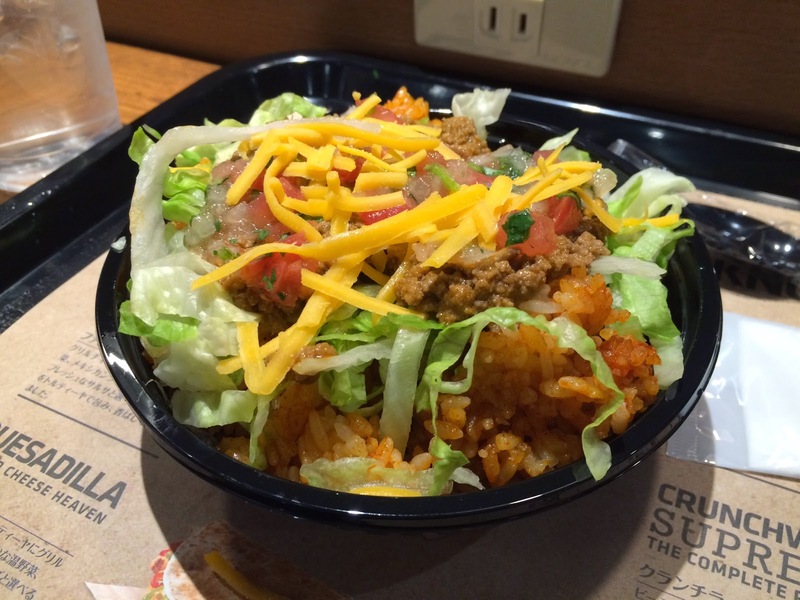 Taco Rice is a popular dish from Okinawa, and it consists of lettuce, tomato, cheese and seasoned ground meat which are used in tacos, and they're put over rice. I saw some parsley also. 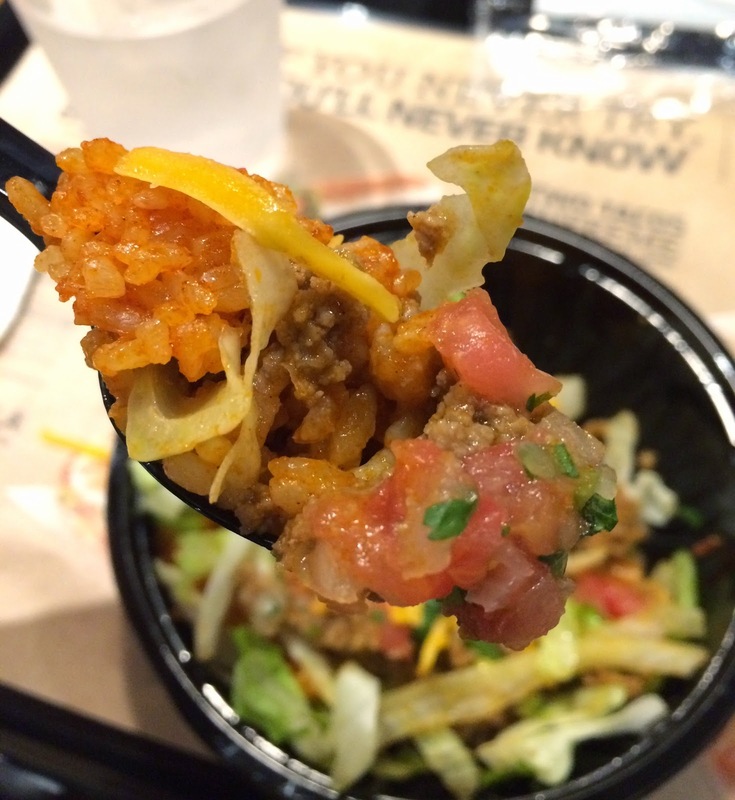 The rice is orange and had tomato flavor as they use Mexican rice for this bowl. 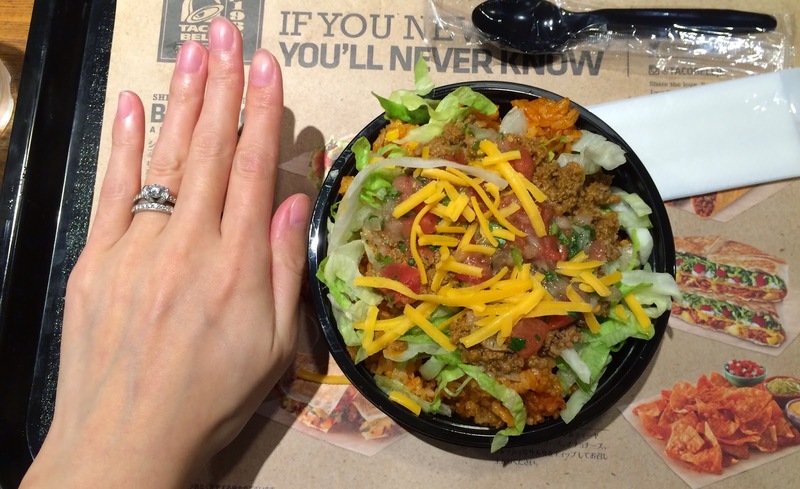 The tray was about 15cm (5.9 inch) in diameter. To scoop rice, tomato and cheddar cheese was easy, but the lettuce was hard to pick up as they're long. I think if the lettuce had been cut into pieces like tomatoes, it'd have been easier to eat with a spoon. The beef was seasoned very well and tasted the same as the those used in tacos. Vegetables were fresh and crunchy, and not dried. The rice had some sour tomato flavor, and it tasted like "ketchup rice," which is rice seasoned with ketchup. 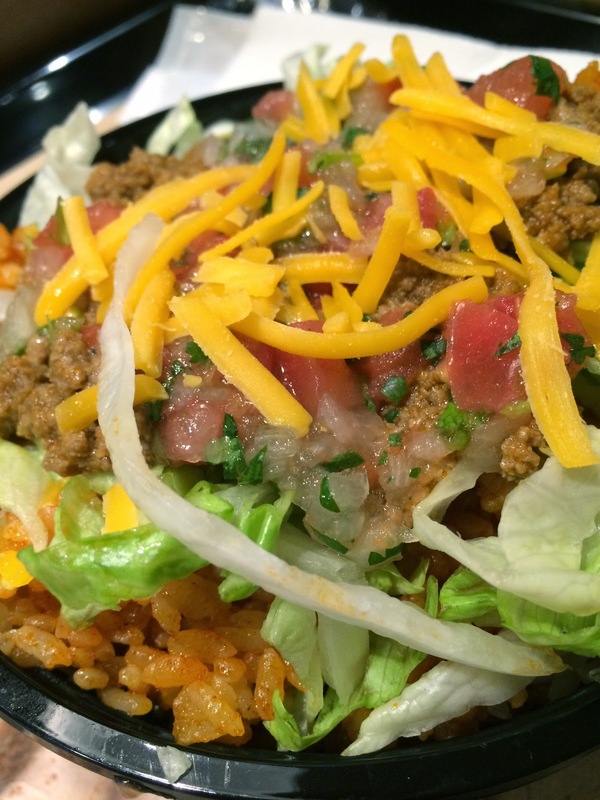 I thought they may use white (unseasoned) rice, but thanks to Mexican rice, it's flavorful and I actually enjoyed this bowl. 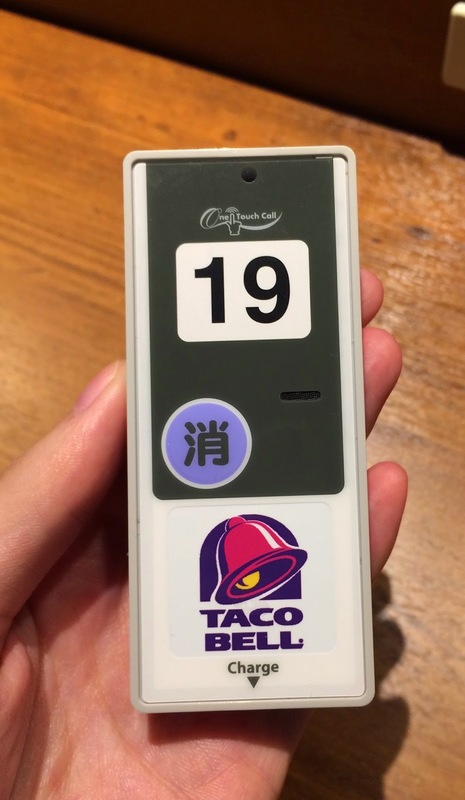 The quality was same as ordinary Taco Bell, but the slow service can't be called "fast food" while its sales point is the speed. On the paper, there're descriptions of the items and some were weird and funny. 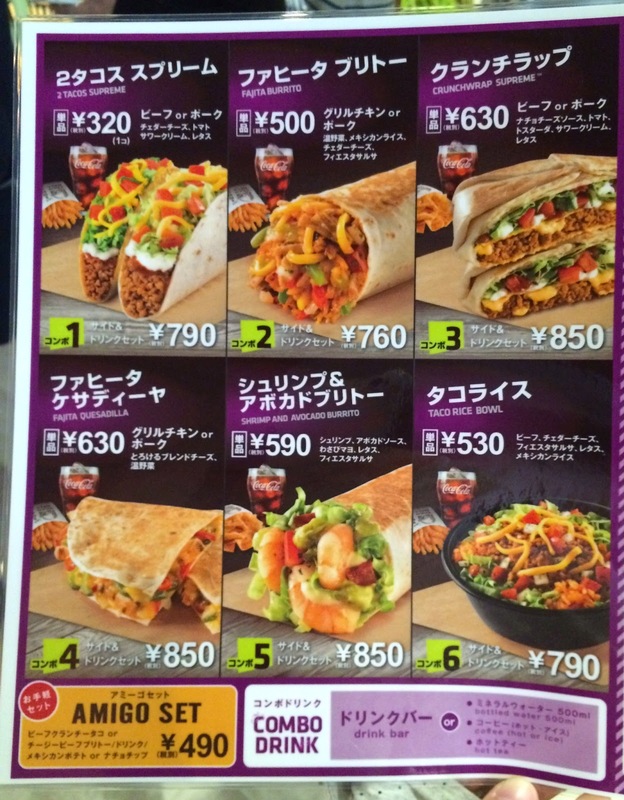 Shrimp & Avocado Burrito: A Japanese Original --- It's "Engrish" and it had better be "a Japan Orignial." Fajita Burrito: Meat + Veggie = Happiness --- Fajita and Burrito are different items, but why are they combined??? 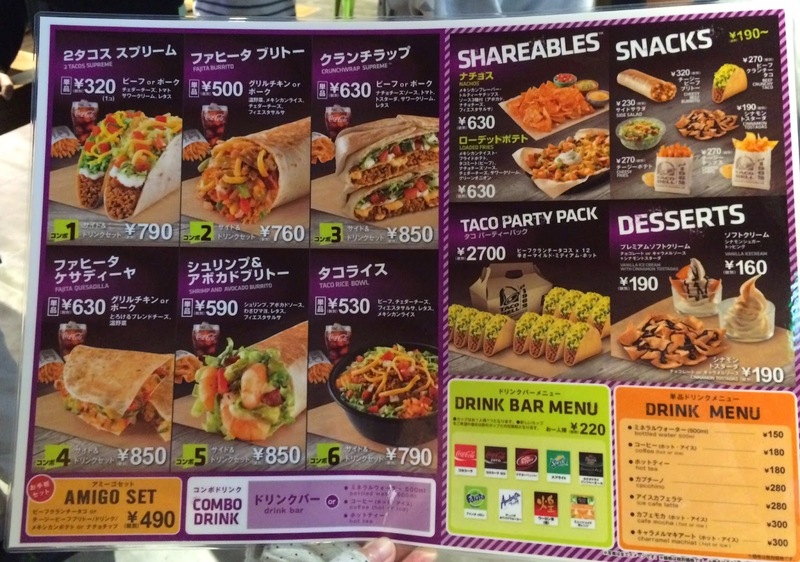 Crunchwrap Supreme: The Complete Package --- The details in Japanese says, "crunchy fried tostada," but tostada means fried tortilla, thus, it'll be "fried fried tortilla" if it's literally translated into English. Nachos: Dip, Scoop, Share, Love --- Just I don't know why "love" is used for nachos. 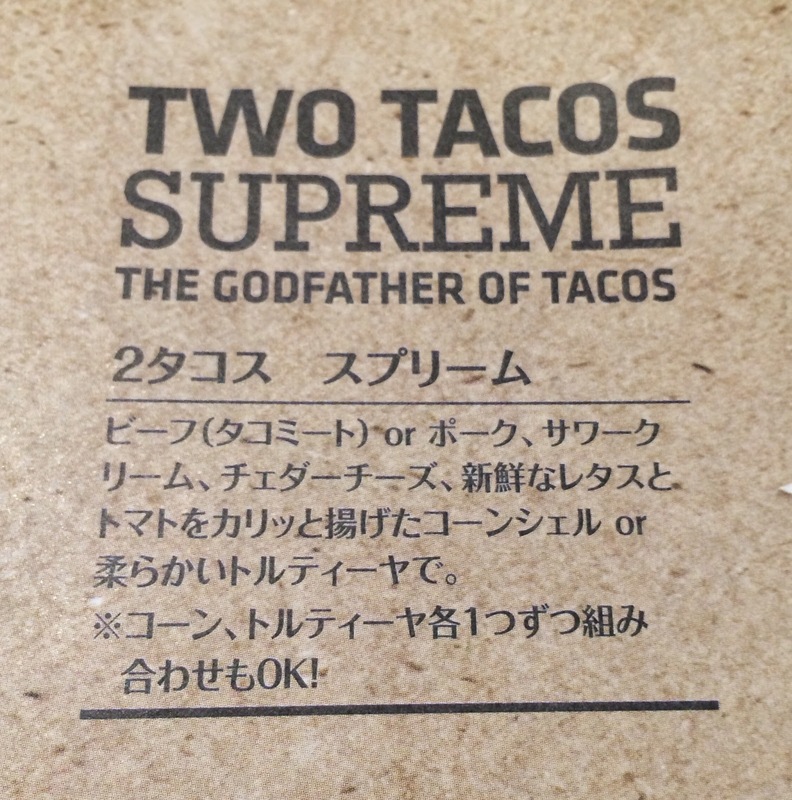 Though, the weirdest and dumbest description by far must be this "Two Tacos Supreme." 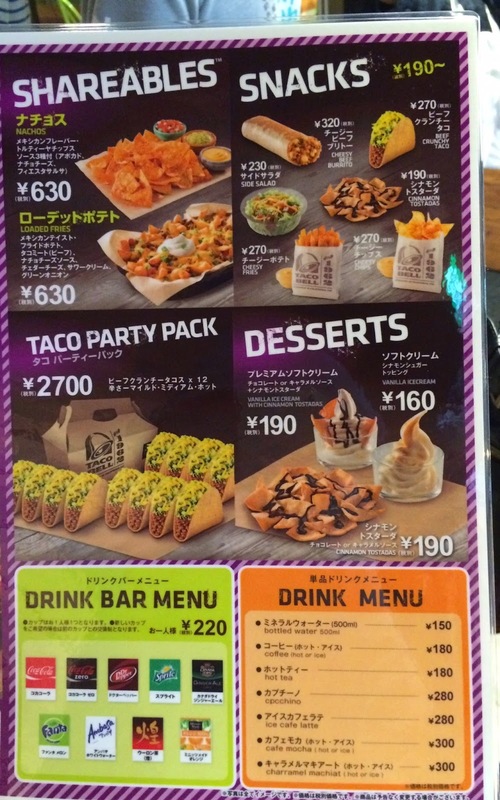 In Japanese, at the asterisk says, "You can mix 1 corn and 1 tortilla each!" However, "tortilla" means both hard (corn) shells and soft (flour) shells, thus, this definition is just so wrong. I bet they means hard shell by "corn" and soft shell by "tortilla" though. 11:00 AM: When I left the shop, there's much longer line outside though there're a lot of empty seats inside. Long queue: To receive items after ordering takes very long, and that causes a huge queue outside. Narrow varieties: Items available were very limited, and the sauce must be chosen when you order, thus, there're no sauce pouches you can freely take. Water: Usually, other fast food chains give me a cup of tap water when I ask some water, but here, they tired to give me a bottle of mineral water, which needs to be paid for. So when I said, "tap water (水道水, Suidosui)," they gave me a cup of gratis water. 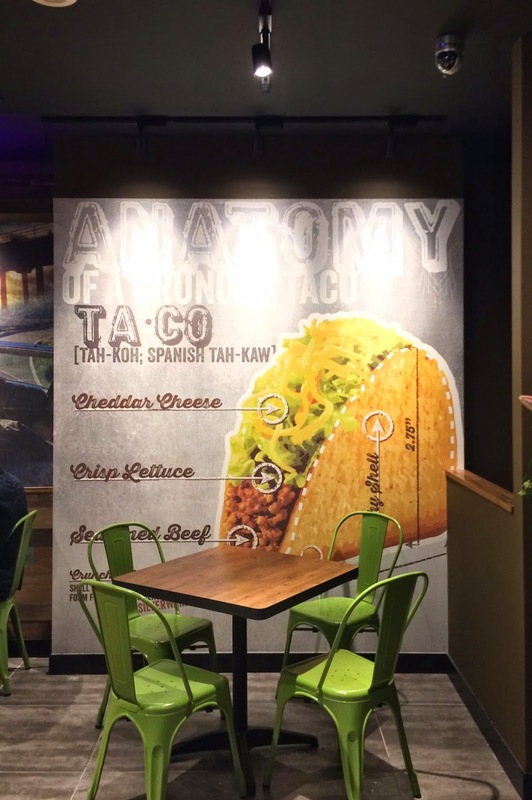 Weird description: Or I shall say, "wrong understanding," but I don't think they studied the items well before translating (like "tortilla" and "fajita burrito" I mentioned in the review). Unhygienic: Not all the kitchen staffs were wearing aprons and sometimes the food and tray were touching their clothes (at the stomach), and it's quite disgusting. The reason they put glass windows for the kitchen is to show the ingredients and how they cook, but it worked negatively. Inconsistency: The cashier who took care of me said the receipt would be given when I receive my item, but none gave me receipt while others were given receipt when they paid. I've never been to Taco Bell before so I'm very interested in trying this. 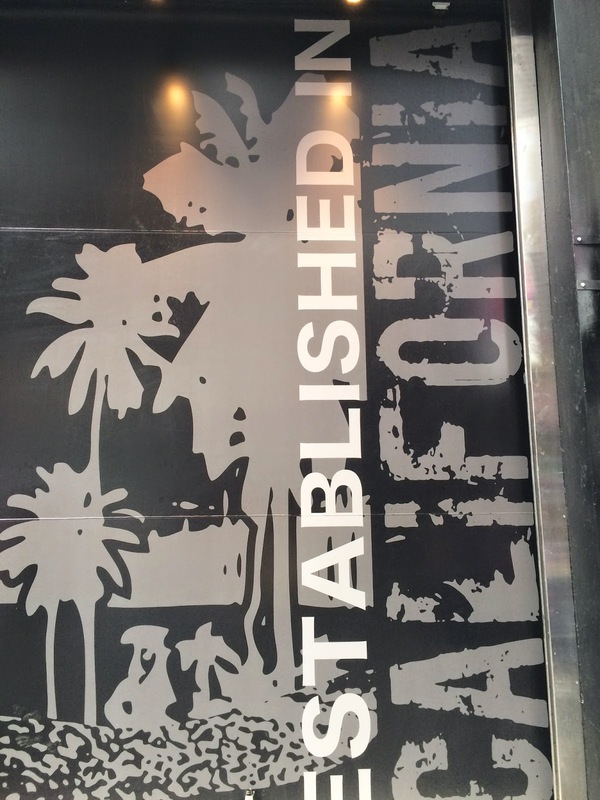 I hope they will open a branch or something. 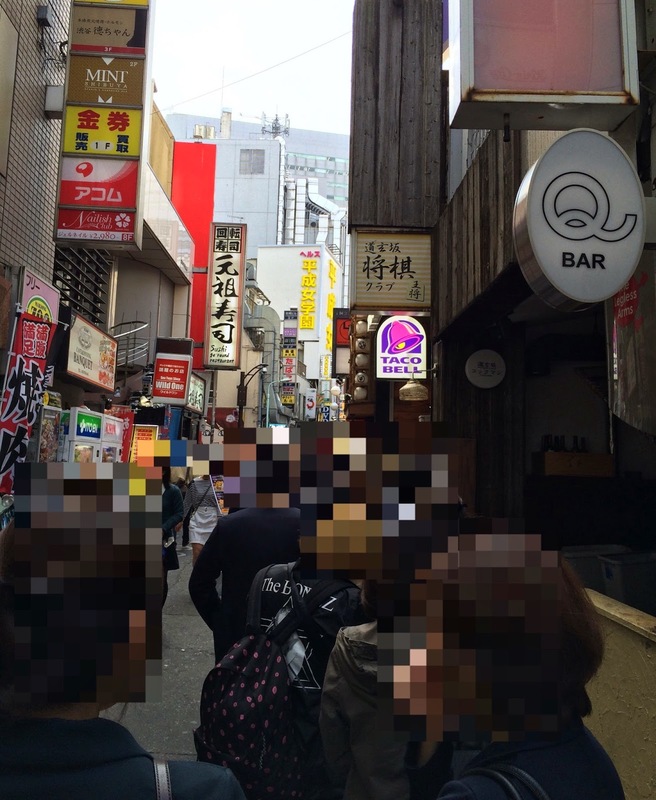 If I need to queue for hours for a fast food chain, I don't know how long the queue is when Dominique Ansel's shop hits Tokyo. Wow. 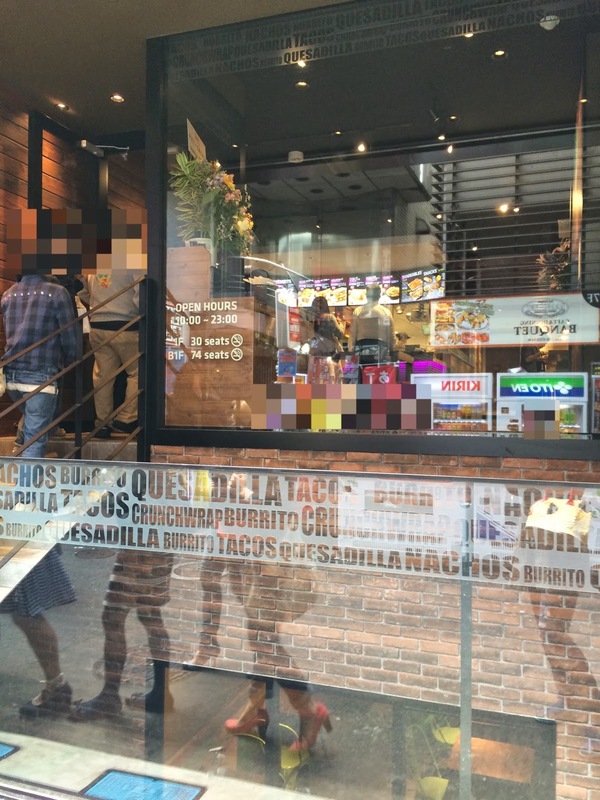 And the guy outside said, "There're 15 customers inside waiting to order, so we can't let any people come in." And today, when we went to see the line again, it went down near Big Camera, so I bet the waiting time is about 2 hours. I wish at least the customer service was better; a guy in suit outside to handle customers wasn't professionally treating people, and I'd say it's a huge problem.